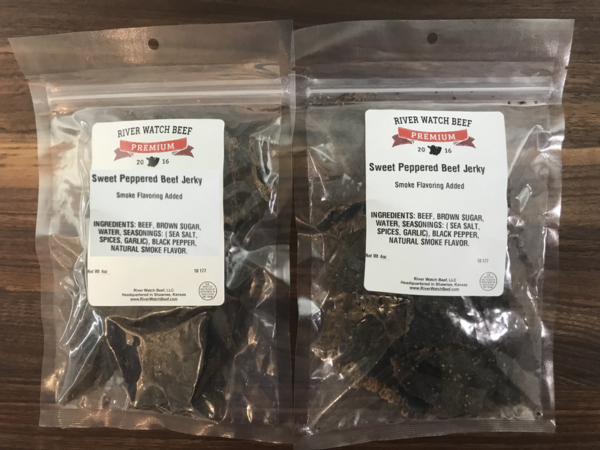 Our best selling Sweet Peppered Beef Jerky is handmade, in small batches, from an old family recipe. 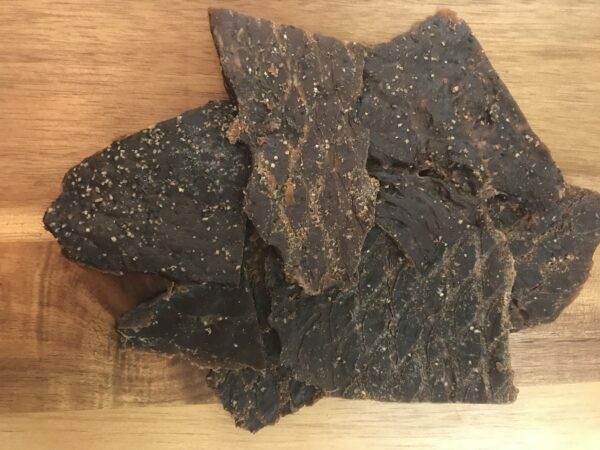 A perfect balance of sweet, heat and smoke! 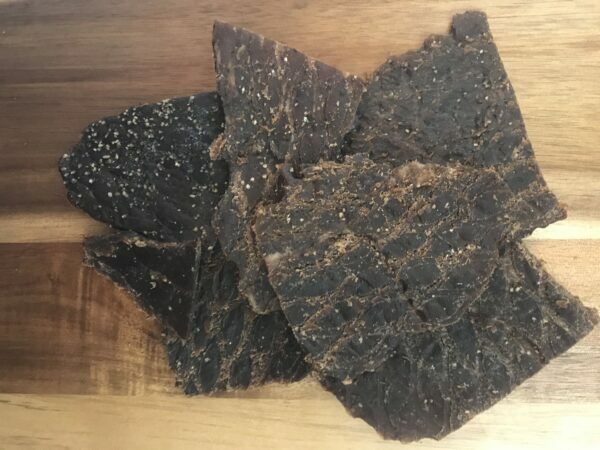 Our premium beef jerky is minimally processed using only the finest cuts of grass-fed beef and simple, all-natural ingredients. Beef jerky makes a great snack to take on a camping trip, long car ride or at work. 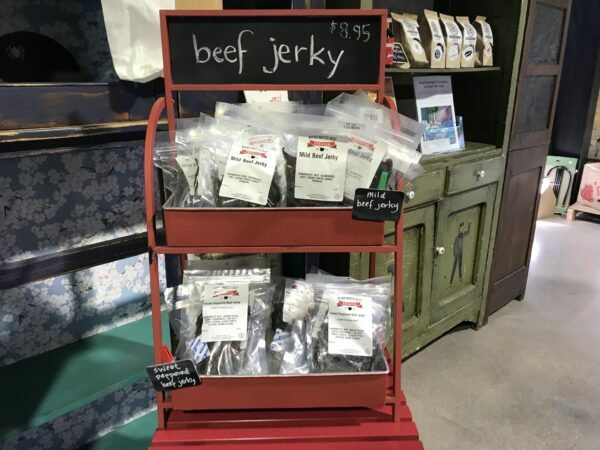 From our family farm to your table, desk, car, tent or backpack. 100% Satisfaction Guarantee. Our beef jerky is made in limited quantities and sells out fast! 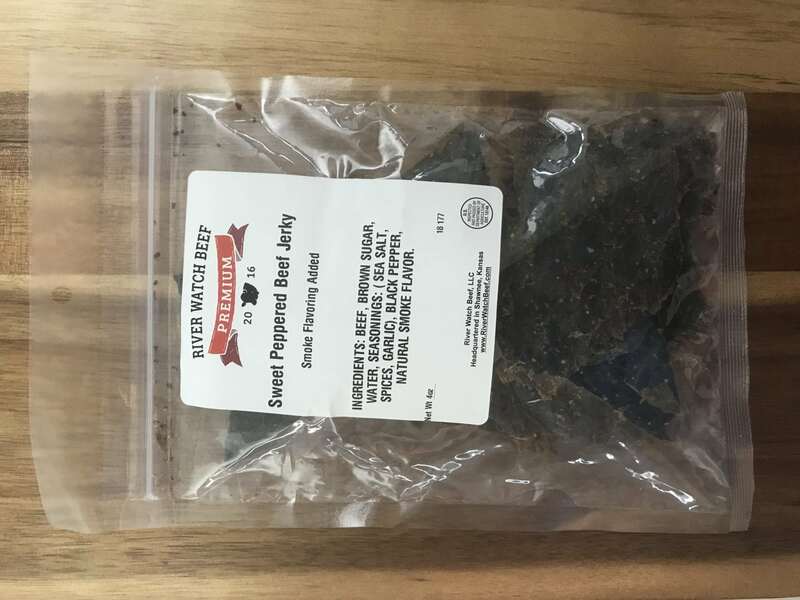 6 Bags of Sweet Peppered Beef Jerky (4 oz): Sweet and smoky flavor with a pepper kick.